The idea of Wayside House originated in March 1925 when its founder, Hyldah Pottinger, visited a friend and found her in urgent need of care. It was while helping her friend recover that she realized the need for a place where those seeking spiritual healing could rest and receive adequate Christian Science nursing care. This mission became so important to Hyldah that she gave up her former business and trained to be a Christian Science nurse. After her training Hyldah returned to Victoria and in 1931 opened her home to “pilgrims needing rest and care.” She shared the work with one other Christian Science nurse, Clara Frank, and they often found themselves on twenty-four hour duty as the number of guests increased. Wayside House was licenced as a private hospital in 1942 and soon expanded into three separate buildings: two that housed the guests and one that was the Christian Science nurses’ residence. By 1951, with conditions becoming ever more cramped, the search began in earnest for a larger and more suitable home. 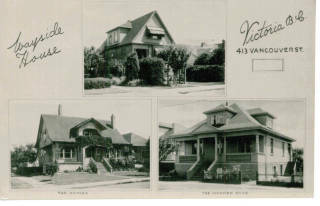 In 1953, a lovely home designed by architect Samuel McClure was considered a perfect place for Wayside House. The first impression on entering was one of graciousness, comfort, and warmth. 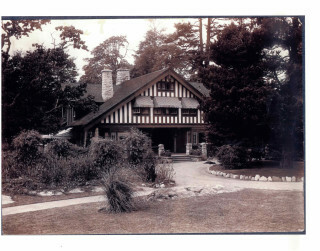 A fly wing expansion to accommodate the nursing care was added to the Tudor-style house and in March 1956 Wayside was opened for business. Wayside House today embraces all of the love, dedication and vision that Hyldah so fully expressed. Guests can expect to experience the strong spiritual support exemplified by today’s Christian Science nurses and staff. The original Tudor-style heritage house was built in 1908 and you can read about its history HERE.